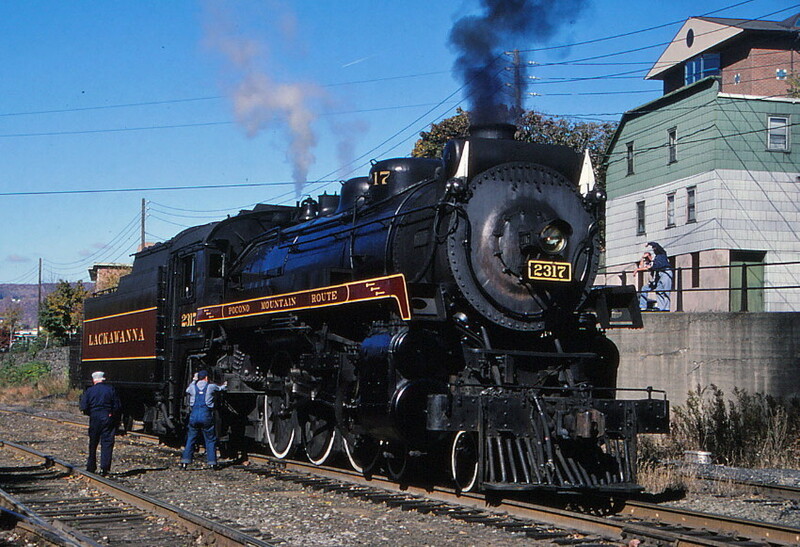 MLW 4-6-2, a CPR G-3 class locomotive, Lackawanna-ized for special Scranton Steamtown events, was eventually returned to its CPR paint scheme. Photographed by Bruce Macdonald, October 24, 1986. Added to the photo archive by Bruce Macdonald, November 3, 2018.